Montana State University is the setting for the next paper, Incorporating Screencasts in Online Teaching, by Elaine Peterson. Despite success in teaching a library course online, one component remained a problem for Montana State students: learning the Dewey Decimal Classification System. Peterson reports on the preliminary results of an intervention designed to address this challenge. The growing popularity of e-learning may pose one of the greatest challenges currently facing traditional educational institutions. The questions often asked are how, rather than whether, to embrace this new form of instructional delivery and how to create an appropriate learning environment for the learners. Educational institutions in Hong Kong have the option of adopting programmes or learning materials developed in other parts of the world for local learners, or not. Such an approach of acquiring learning materials is not without risks in terms of the suitability of materials embedded with cultural contents ‘foreign’ to local learners, or in terms of the suitability of assumptions in the communication context. Despite success in teaching the class ‘Organization of Information in a School Library Media Center’ (EDCI 545) online, one component continued to be a problem for students, the Dewey Decimal Classification System. To supplement the instruction, a set of simple screencasts was developed to assist distance education students. Benchmarks were established and a beta test conducted. It is expected that the next online class of students will have increased success because of the addition of screencasts. It is suggested that screencasts be considered as an additional tool for online learners across other disciplines, particularly when using databases that have layered sets of information, requiring multiple mouse clicks. Middle-school science teachers have a new resource at their disposal: SIMPLE Science, an online collection of science activities created by Tucson, Ariz.-based education company Science Approach with funding from the National Science Foundation. SIMPLE Science lets students explore X-rays of animal skeletons, measure snow and ice cover over time, explore bipedal locomotion, manipulate photographs, diagnose lung disease, and much more. Each topic can be covered in a 50-minute class session. The site is free and is available to anyone with high-speed internet access and a Java-enabled browser. Google, the internet search company, is entering the UK schools market - launching a website with resources and news for teachers. This is the internet giant's latest step into education - as it already has begun to offer online programs and e-mail support for universities. The free online materials show how to adapt Google Maps and Google Earth for classroom use. Google says it will support lessons in history, geography and citizenship. From polynomials to rational expressions, the world of algebra can be a befuddling place. Of course, trigonometry presents certain challenges as well, what with its sine graphs and inverse functions. Students and teachers of these subjects need fear no longer, as this site offers a guide for smooth sailing through all of these thorny matters. These mathematics resources were designed to complement a textbook authored by Robert Blitzer, and they include a number of interactive quizzes and tests. The materials on the site cover topics like exponents, matrices, and conic sections. Some of the materials are meant to be used as stand-alone educational materials, although visitors should note that some require the actual textbook. McGill University's Life Science Library has created this very fine online resource for medical educators, students, and other health care professionals. On the left-hand side of the page, visitors can peruse a list of thematic categories that include "Publishing in the Life Sciences", "Reference Manager", and "Health Statistics" that are worth looking at in detail. The core of the site consists of a long set of links that lead to medical databases, and most importantly, the "ABC of Teaching & Learning in Medicine" articles. These articles cover everything from creating teaching materials to learning and teaching in the clinical environment. In a classroom with 60 future teachers I tried an experiment. "Everybody have their mobile phones?" I asked. They looked surprised. "OK," I told these Michigan State University students, "you have 15 minutes to receive a text message. The message must say (1) where the person is, (2) what they ate for lunch today, and (c) when they were born." I offered extra credit if the response came from outside the United States, or if it was in another language. The room was filled with fingers flying across tiny keypads, and quickly we had more responses than students. "What could we do with this information?" I asked. "Graph it? Map it? Analyze it? Translate the French, German, Spanish and Urdu messages?" ProfCast provides for the recording of live presentations and screen captures. It supports audio playthrough, export to GarageBand, and sharing via iWeb, as well as URL linking and ID3 tags for iTunes U, Apple's university-centric space within iTunes. It also includes an integrated Podcast Manager, which generates and publishes the supporting RSS feed for the podcasts. Almost 3.5 million American students took at least one online course during the fall 2006 term, about a 10 percent increase over the number reported in 2005, according to the Sloan Consortium. For the fall term at Drexel, almost 4,000 courses have capability of Blackboard Vista, the Drexel online learning service. "I think that we're safe to say that we're more than just getting our feet wet; [we're] well established to experience online education at Drexel," Associate Vice President of IRT Jan Biros said. Online education has become increasingly popular on college campuses, and Drexel is taking advantage of these developments in technology. According to Michael Scheuermann, the director of Online Learning, nearly 70 percent of all Drexel students are in at least one section this fall where the professor is actively using Blackboard Vista in their teaching and learning. Members of the Education World Tech Team share their must-have tech tools for educators. What’s on your list? Four years ago, we asked members of the Education World Tech Team to tell us about the hardware and software they considered essential to their teaching and/or professional lives outside the classroom. The responses were published in the article Learn to Accessorize: Hardware and Software Essentials. Recently, we wondered how many of the technology tools our experts identified in 2003 were essential in today’s classrooms, and how many new tools our experts had added to the list. So once again, we asked our Tech Team: What hardware and/or software do you consider essential -- or invaluable -- for today’s educator? Discover what they told us. Online learning experience suits some students better than sitting in class by DAVID STEINDORF, Ph.D. 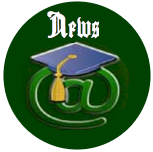 I applaud the Times Union's Dec. 2 editorial on the value of an online college education. The point of the editorial was, it seems to me, that establishing universally accepted criteria for evaluating the various online degree programs would greatly assist in debunking the myth that "a degree earned in the virtual world is inferior to a sheepskin obtained in the real one." I couldn't agree more and, in fact, would humbly suggest that, in certain respects, an online academic experience can, for many individuals, be superior to classroom learning. "Using Breeze for Assessment and Research Collaboration"
Breeze software can be used to enhance PowerPoint presentations with audio and to produce online course meetings. More information can be viewed here: http://www.sc.edu/cte/technology.shtml. This seminar will provide an overview of how Breeze is being used to not only provide content and online forum for students, but also provide the instructor with a tool for assessment. Using Breeze as an assessment tool allows for specific, individual feedback for students. Using Breeze as a tool for research collaboration with colleagues (in-state, out-of-state, or internationally) will also be discussed. Recorded breeze assessments and research collaborative efforts will be shown as examples. Dr. Tena Crews, Ed.D. in Business Education from The University of Georgia, is an Associate Professor in Technology Support and Training Management in the College of Hospitality, Retail, and Sport Management. Her teaching and research interests include online learning design, development, pedagogy, and andragogy. Dr. Crews is active in numerous professional/academic organizations and recently received the 2006 National Business Education Association Collegiate Teacher of the Year Award. The poor showing of U.S. students on the latest Program for International Student Assessment (PISA) has renewed calls to improve math and science instruction to keep the nation competitive in the new global economy. In other countries, school differences played only a minor part in performance variation. In Finland less than 5% of the overall performance variation among OECD countries lay between schools and in Iceland and Norway it was still less than 10%. Other countries in which performance was not very closely related to the schools in which students were enrolled included Sweden, Poland, Spain, Denmark and Ireland as well as the partner countries Latvia and Estonia. Considering that Finland also showed the highest overall performance in science suggests that Finnish parents can rely on high and consistent performance standards across schools in the entire education system. Through a recent agreement between Arkansas Educational Television Network and Discovery Education, schools in Arkansas will have access to Discovery streaming, a service that provides education-focused streaming multimedia content. The one-year deal renews an existing agreement, making the materials available to 1,358 school buildings in Arkansas, according to the companies. However, please make sure you check out Discovery Education. This edition of the eLearning Papers presents four articles that link together the themes of eLearning and eInclusion. Collectively, the articles provide an illuminating snapshot of the current landscape, covering a spectrum that bridges what is happening at the EU trans-national level and the member states policies, and what is happening at the ‘chalk-face’. Two of the papers reflect summative perspectives. The paper by Kerstin Junge and Kari Hadjivassiliou provides a comprehensive mapping of the most recent initiatives undertaken by the European Commission and by member states in pursuit of the ambitious goal set to half the digital literacy gaps between “at risk groups” and the average population by 2010. This perspective is complemented by David Casacuberta’s resume of best practices gleaned from EL4EI, a European Union project funded by the eLearning Programme. They conclude that more recent eLearning strategies are moving towards a new paradigm, based on more informal teaching environments. The remaining articles focus on specific eInclusion scenarios. The paper by Kirsti Ala-Mutka and Yves Punie considers how new models and methods in lifelong learning can help to meet the challenges facing Europe’s ageing society. The paper by Vincenza Benigno, Stefania Bocconi and Michela Ott is pitched at the other end of the learning spectrum, and looks at the issue of Universal Access to Education. It focuses on the strong potential that ICTs offer for reducing discrimination among students. In the concluding article of this edition of the eLearning Papers Per Arne Godejord outlines how blended eLearning approaches can be used to develop ethical awareness in students. What are the EU and member states doing to address digital literacy? A number of video-sharing web sites have cropped up online, designed to let scientists broadcast themselves toiling in the laboratory or delivering lectures. Fans of the niche sites say they help students and the general public understand the scientific process, allow researchers to duplicate one another's results, and could help discourage fraud. And in the wake of disappointing results on an international science exam, they might even help spark more of an interest in science among U.S. students. Please be sure to check out this paper, appears in the European Journal of Open and Distance Learning. Research employing an experimental design pilot tested two delivery platforms, WebCT and ElluminateLive, for the generation of affective learning outcomes in the workplace. Ten different organizations across Western Canada asked their call centre/help desk staff to participate in an online course on customer service. One hundred and one participants were randomly assigned to two types of online learning management systems. Data comparing results of the two groups are inconclusive in relation to delivery outcomes, but indicate there is potential for soft skill development and affective gain using online delivery. Both groups performed well on tests of knowledge regarding appropriate affect in customer service environments. Soft skill assessment showed small gains from time one to time two for participants studying in both platforms. Differences between groups were seen in two observations. There was greater engagement and interaction among participants in the WebCT group. Additionally, the WebCT group yielded higher exam scores, but differences between exam means were not statistically significant. The low-cost XO laptop computer that aims to revolutionize education worldwide could be coming to Birmingham, Ala., students for about the same low cost that officials in developing nations must pay, if a deal reported to be in negotiations goes through. The Birmingham News reported last month that more than 15,000 children in Birmingham city schools would receive an XO laptop under a tentative agreement new mayor Larry Langford has reached with the One Laptop Per Child (OLPC) foundation, the organization behind the initiative. The computers would be given to every child in grades 1-8 and would cost about $3 million, or roughly $200 apiece. In the United States, the demand for self-paced electronic learning products will hit $13.6 billion by the end of 2007 and will continue to grow at a compound annual growth rate (CAGR) of 22.01 percent over the next five years. This according to a new forecast from Ambient Insight detailed in report released this week entitled, "The U.S. Market for Self-paced eLearning Products and Services." An executive summary of the report with further details and definitions of categories is available online at the link below.